oH… ‘By The Way‘ have you heard the new music group making waves in the 313? This week The Y Life is switching things up a little bit and bringing Music to your Tuesday, as we go one- on- one with four teens from Detroit who are stamping their mark on the town! Michigan is engraved with a special type Music history, it was September 1959 when Berry Gordy brought the ‘Motown Record Corporation’ to the streets of Detroit and developed a new sound known as the ‘Motown sound‘ from artists like Jackie Wilson, ‘Smokey’ Robinson, The Supremes, The Jackson 5, Stevie Wonder and Marvin Gaye just to name a few. This new ‘sound’ Gordy created from his Hitsville U.S.A studios, had a certain type je ne sais quoi, which many have attributed to the soul of crafting music in the motor town. From the popping rhythms of the tambourines, to accenting beats and incorporating electric bass-guitars… the emphatic chord structuring, which brimmed reminiscent of soulful gospel hymns, and sparkling in those Pop techniques with orchestra inspired string sections and background vocals… Motown makes music history! First off… Darbi, Ursula, Marisa and Frankie… What has been the most exciting moment for the four of you, on your ‘By The Way’ adventure, thus far? Girl bands have always been such an exciting addition to the pop music scene… they’ve played a major role in fortifying the value of ‘girl power’, as did my favorite girl band growing up for me. As a unit what are your goals for ‘By The Way‘? All four members of ‘By The Way‘ are based in Detroit, a town known for its influence in the music world… How has your city influenced your sound? Darbi, Ursula, Marisa and Frankie have quite the resumes… from a classically trained opera singer, to a pageant titleholder, a musical theater performer and a singer-songwriter! How have each of you been able to use your pasts to enhance the sound of your band? 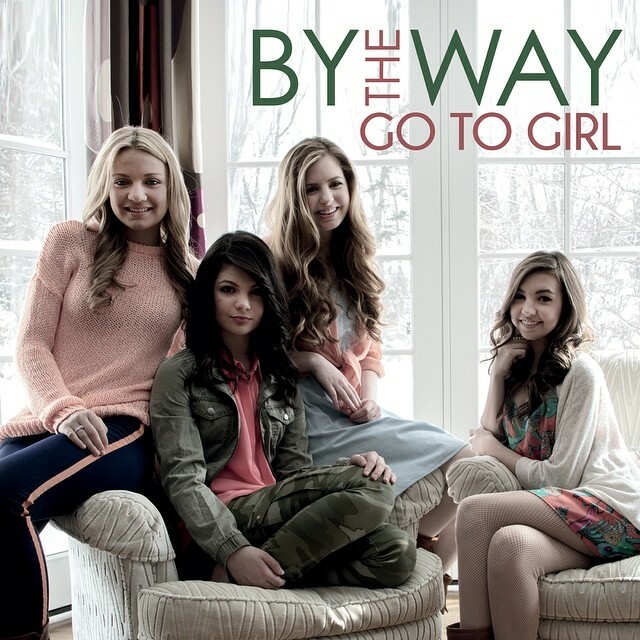 The ‘By the Way’ girls, have been known to embrace their strong passion for singing and songwriting, their single ‘Go To Girl‘ is out on iTunes, but we wondered when we could expect to hear some other original tracks from these lovely ladies? We have heard ‘By The Way’ perform the National Anthem quite a few times, which we can only imagine must be such a thrilling experience… In fact, it’s a dream carried by millions, to be able to honor our nation with song, and especially at such high profile athletic events! We just had to know what that feeling and experience must have been like for ‘By The Way‘? Last but certainly not least, it seems as though, you girls are the precise examples parents wish their daughters could have; how vital do you all think it is for young women in 2015 to have positive role models to look up to? Make sure to check out The Y Life on Instagram for an exclusive message from ‘BTW’ girls!